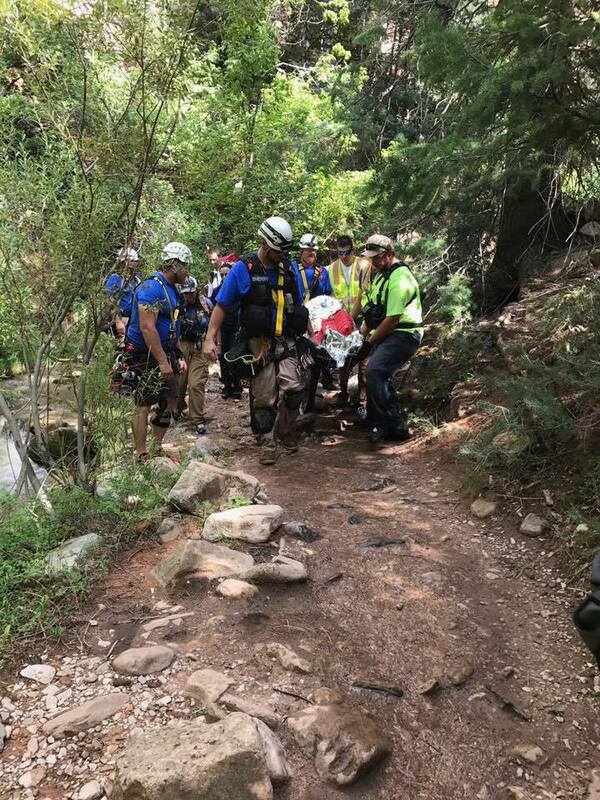 CEDAR CITY – A 55-year-old man was flown to Salt Lake City Sunday after he fell at Kanarraville Falls and broke his back. 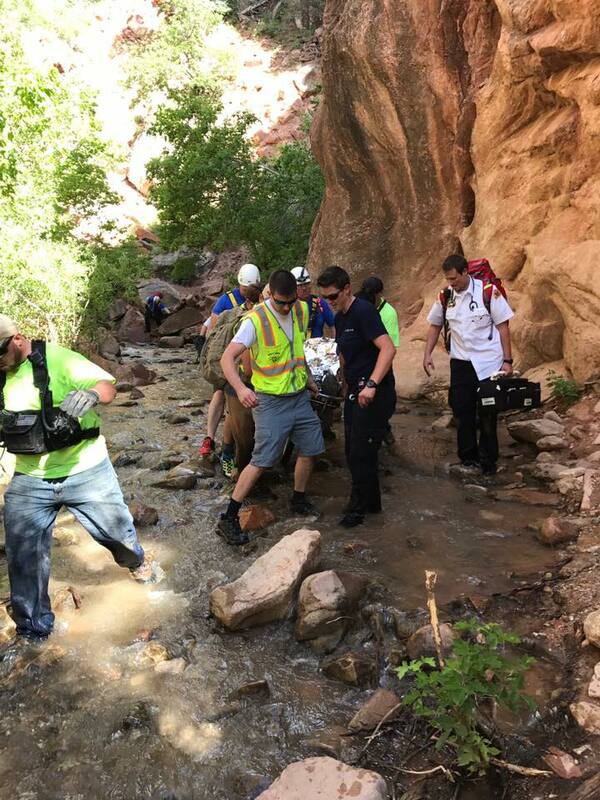 Iron County Search and Rescue crews and the ropes team hiked back into the slot canyon Sunday afternoon to rescue the man who had apparently slipped on the slick rocks in the stream. 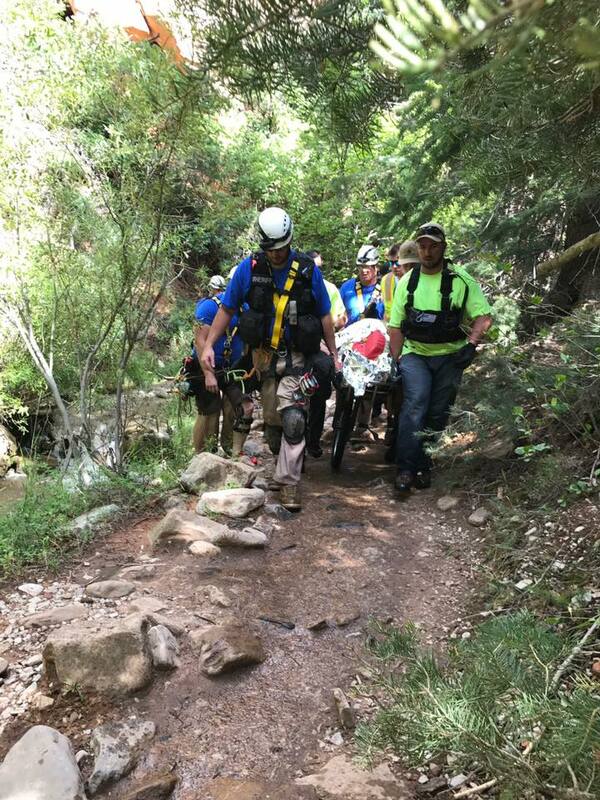 He was just above the first waterfall when he fell, Iron County Sheriff Mark Gower said. 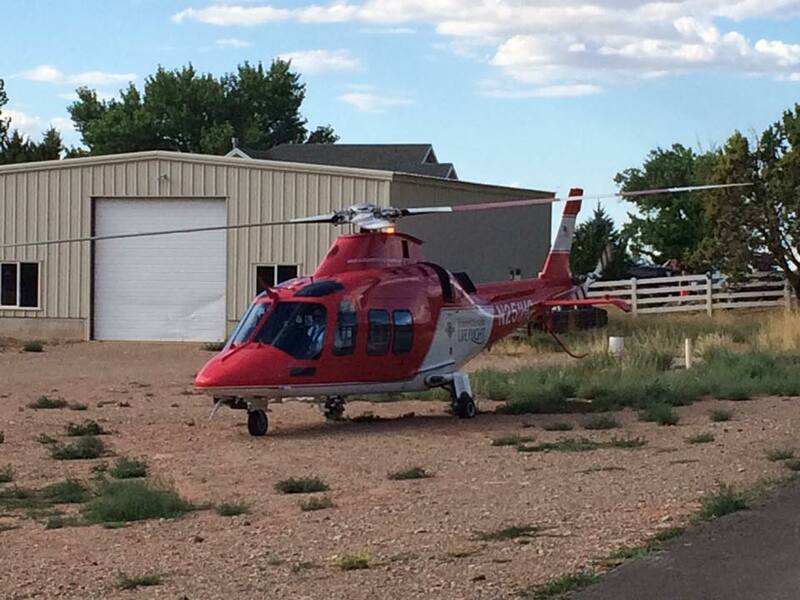 The crews carried the man out of the canyon where they were met with Life Flight crews flew the man to Salt Lake City for what emergency responders believed was a broken back. He was in stable condition, Gower said. The incident was 1 of 3 that search and rescue crews were dispatched to at Kanarraville Falls over the weekend. One of the incidents involved a 35-year-old woman who had fallen and broken her leg, sheriff’s Lt. Del Schlosser said. The other was a medical call for a diabetic patient but crews were later called off after the family decided to take the man to the hospital themselves. In total, the Sheriff’s Office has had 16 calls for assistance to Kanarraville Falls this summer, a number Schlosser said is higher than previous years. “In 2016, we had four search and rescue calls for the whole year,” Schlosser said. Once a hot spot for locals only, Kanarraville Falls has become a popular tourist attraction in recent years. 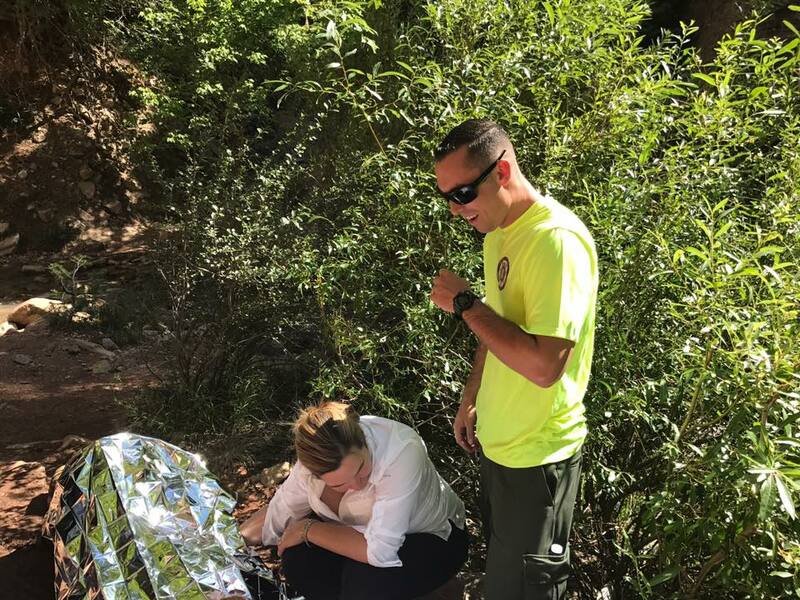 Schlosser contributes the increase of incidents requiring help at the falls to the growing number of visitors that he said has skyrocketed since the county launched a national advertising campaign two years ago. The hike to Kanarraville Falls is 5-miles round trip and takes only about two hours. 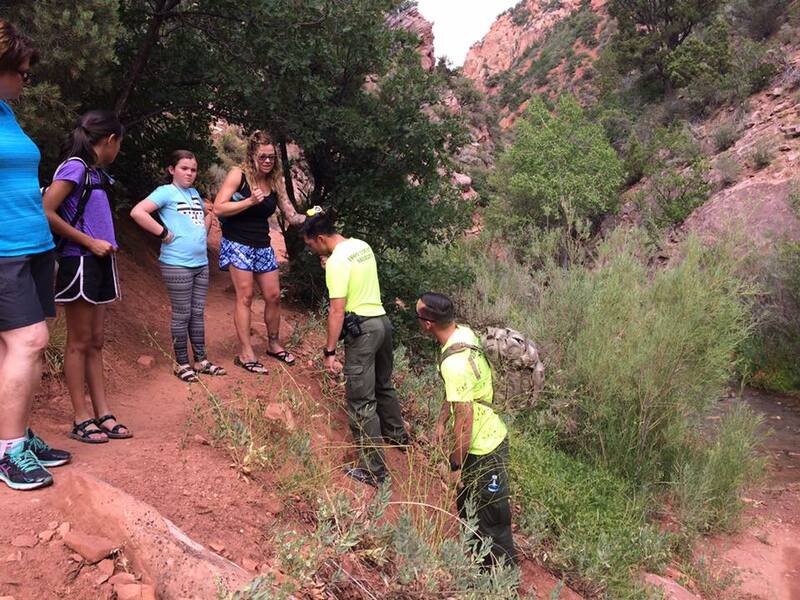 While it’s a short and relatively easy walk, if hikers are not familiar with the slippery terrain it can also be dangerous. 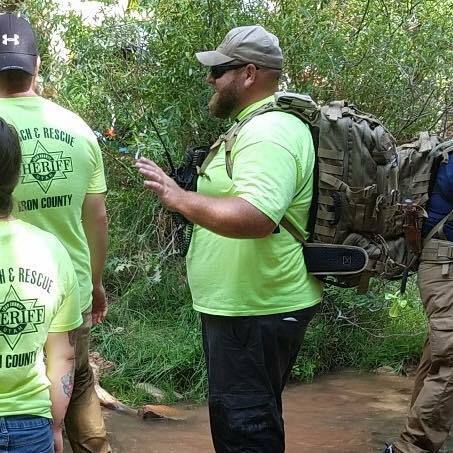 Authorities recommend visitors educate themselves on what attire and shoes to wear when making the hike and to carry a small medical kit in case of emergencies. “Many of the calls we get for help could be prevented if people had an emergency medical kit with them,” Schlosser said. Recreationists can help with the costs of rescues by purchasing a Utah Search and Rescue Assistance card. The proceeds go to county sheriff’s offices throughout the state. The card also ensures individuals in need of search and rescue crews will not be charged for the response except under certain circumstances, such as recklessness. Hmmm seems that if a government agency is going to advertise to attract tourists, they should be prepared to handle the crowds. The National Park Service spent millions of dollars to get people to come to the parks. At the same time, the people who actually worked in the parks were not given the funds to take care of them. Looks like Iron County has done exactly the same thing, just on a much smaller scale. Where is the surprise here? Quit advertising the parks, wanting people to come, then complain there are too many people!!!!!!!!!!!!!!!!!!!!!!!!!!!!!!! I guess we have the best rocks and dirt in the world. The tide cannot be stopped. More will come. You’re probably right. Do we really have to advertise UT parks anymore? I have an old friend who wants to visit and go to Zion over Labor Day. I’m dreading it. However, I’m the one who has the ‘magic card’ that gets us in for free. The alarm will be set for 5am.